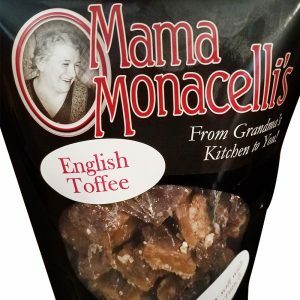 The flavors that emanated from family kitchens 2 and 3 generations ago are found in our packages. Now we open the doors and invite you in to join us. 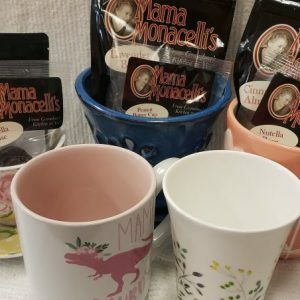 Even if you can’t come to our home in Walla Walla or our store in Dayton, Mama Monacelli’s can come to you! 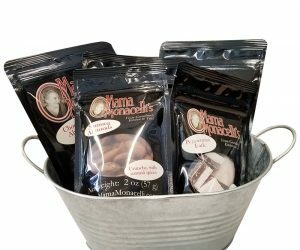 Fill a special container with Mama Monacelli’s goodies! 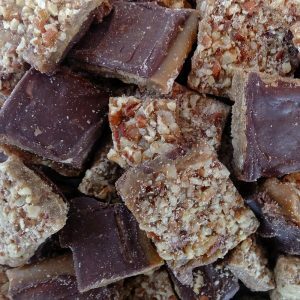 Our classic English Toffee and unique Maple Bark are crunchy, but not hard, and exquisitely delicious. 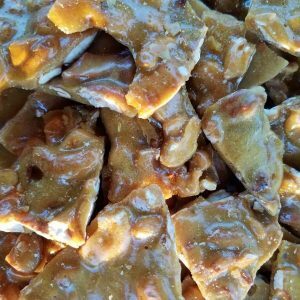 Our artisan Peanut Brittle and Cashew Brittle are light, crunchy, buttery and chock full of fresh nuts. 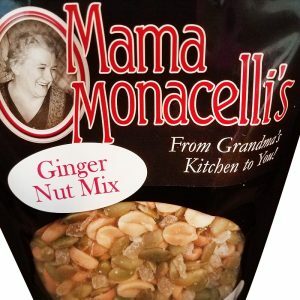 Mama Monacelli’s Ginger Nut Mix hits the spot when you want a slightly salty, slightly sweet and healthy snack. 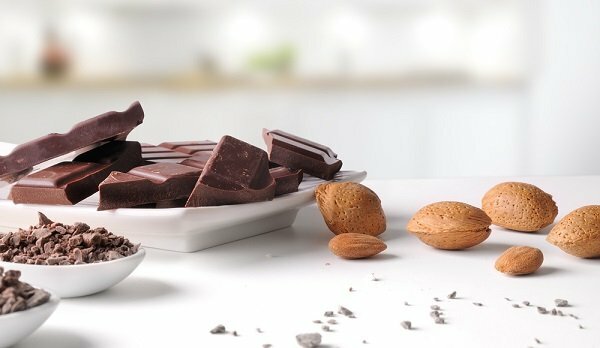 When you need a quick treat, a thoughtful gift or just the right addition to an elegant cheese or dessert tray, Enhanced Almonds are the perfect choice. 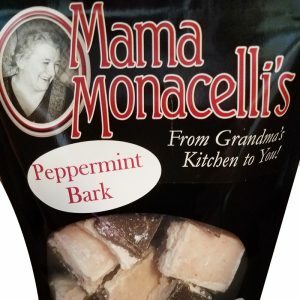 Mama Monacelli’s Peppermint Bark and Chocolate Barks add an extra touch to any gathering. 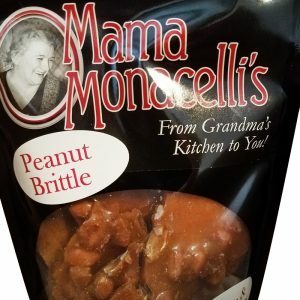 Mama Monacelli’s Kitchen has always been a gathering place for her 5 children, 4 step-children, countless “spares” and now their children (12 & counting). 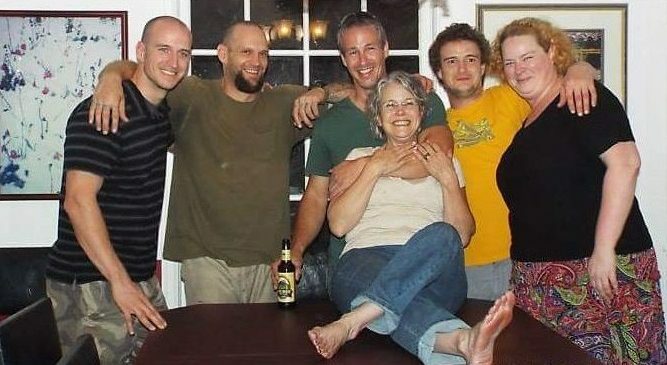 Warm aromas, laughter, song and delicious food have always drawn us together. 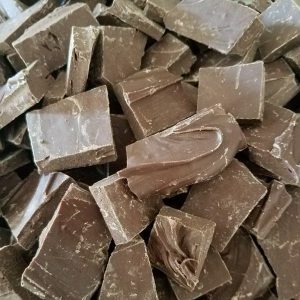 There are no shortcuts to truly superior candies. 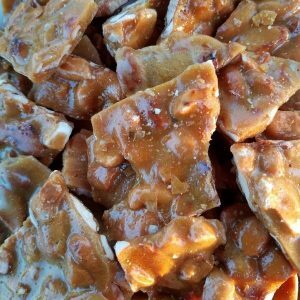 Each small batch of our artisanal candy is lovingly crafted to ensure true homemade goodness. 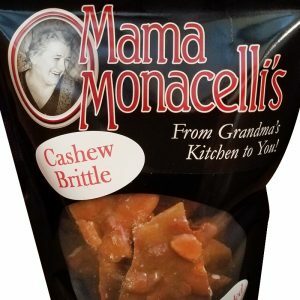 All Mama Monacelli’s products are Gluten Free. Many are Vegan and Soy Free, as well! 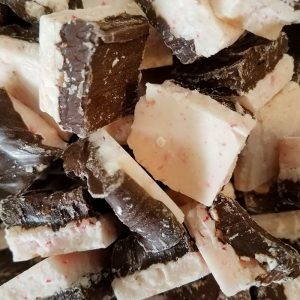 We use only the freshest and most carefully chosen ingredients and each product is a labor of love. 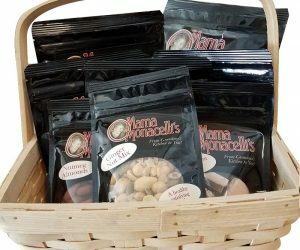 Mama Monacelli’s Gift Baskets and Sampler Packs are sure to delight their recipients. 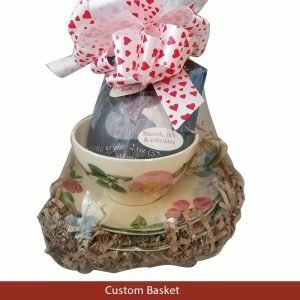 Build your personalized basket or sampler pack in 4 easy steps! 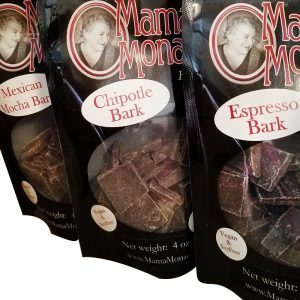 Delicious dark chocolate bark in 5 flavors! 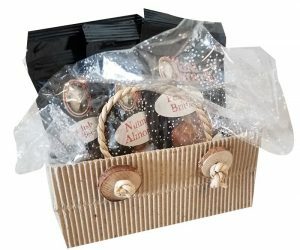 Sweet and salty, with a zing! 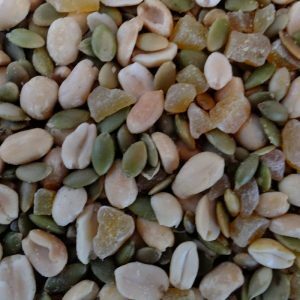 Bright and crunchy, an explosion of flavor!